Seventy-five years ago Pasteur, the noted French scientist, bottled some soup in his experiments to prove that germs live in the air. 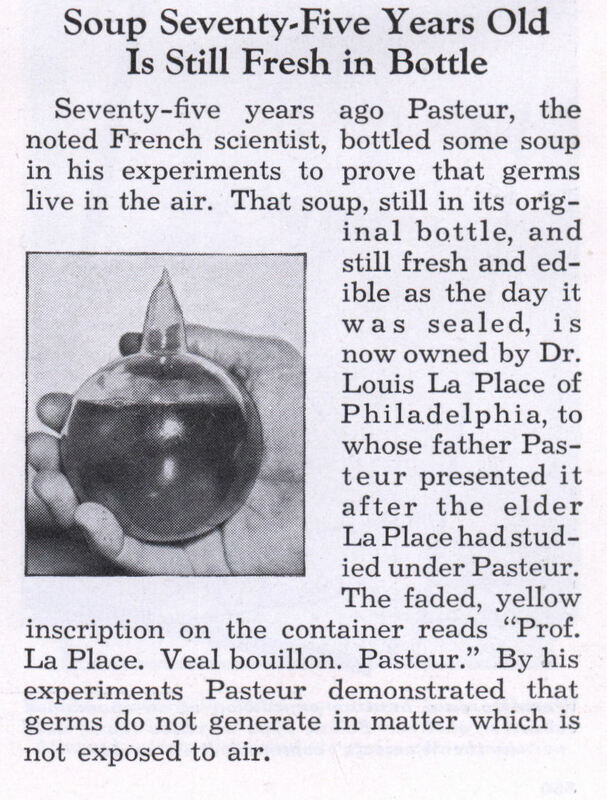 That soup, still in its original bottle, and still fresh and edible as the day it was sealed, is now owned by Dr. Louis La Place of Philadelphia, to whose father Pasteur presented it after the elder La Place had studied under Pasteur. The faded, yellow inscription on the container reads “Prof. La Place. Veal bouillon. Pasteur.” By his experiments Pasteur demonstrated that germs do not generate in matter which is not exposed to air. 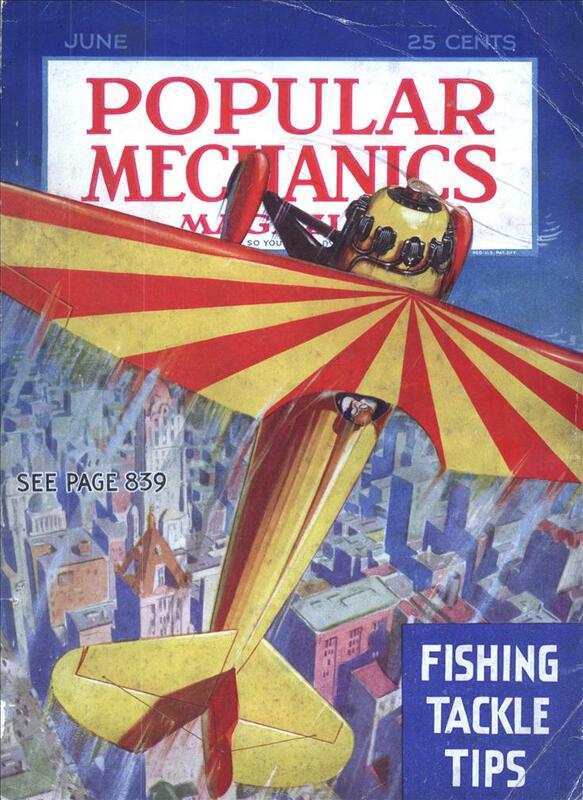 I wonder if it still exists? Microbes and the decomposition caused by them are not the only factors determining food quality. Chemical reactions will occur in most food items over time. If you take two flasks of juice, for instance, seal them, heat them to pasteurize the liquid, and open one after one year and one after three years, there will be a measurable difference in the varieties and numbers of complex and simple carbohydrates and proteins and a noticeable difference in subjective taste. This doesn’t necessarily mean the food will taste bad. Some foods, such as hard cheese, certain dry sausages, and wine, actually improve. Veal bouillon? I’m not sure.